Fish of Hawaiian water’s beware… we are coming for you! 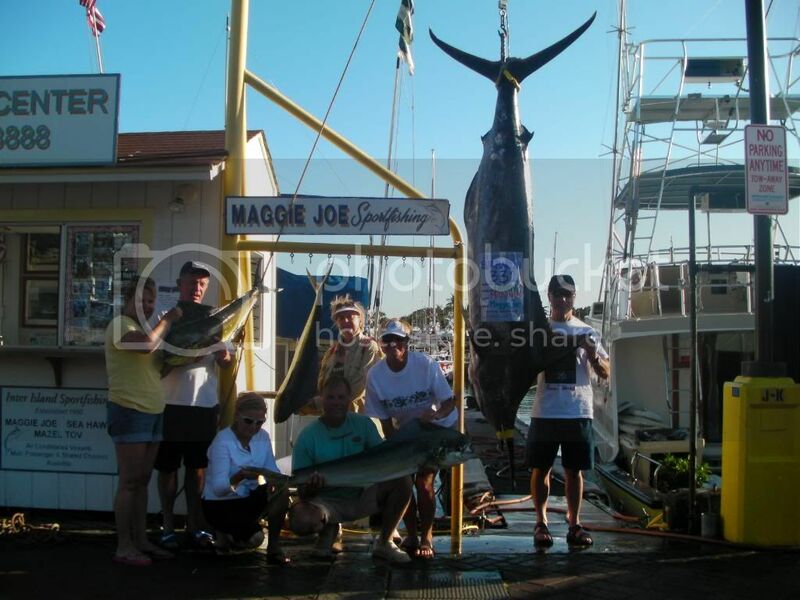 The Byrum family went out with us on the Maggie Joe and brought home a 331 lb Pacific Blue Marlin and 3 Mahi Mahi. 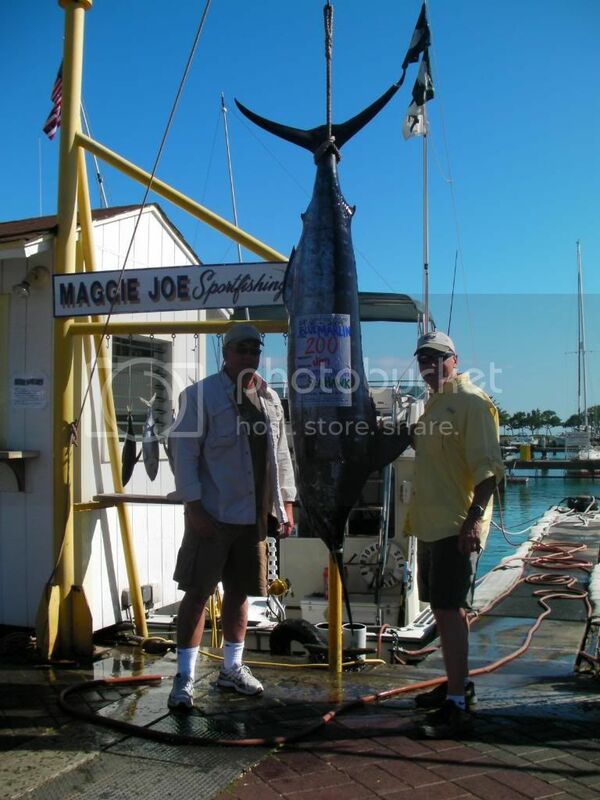 Jim and Rick went out with us on the Sea Hawk and landed a 200 lb Pacific Blue Marlin. Along with the marlin they also brought in several Aku. Captain Mike together with his nephew John pulled in 4 Mahi Mahi today while deep sea fishing off Hawaii’s island of Oahu. The Bellamy family joined us for a great day of deep sea fishing and caught a 22 lb. Mahi Mahi and a couple Shibi and Aku on the Maggie Joe. Mahalo Bellamy’s! Merle Mendrickson caught this Mahi Mahi on the Sea Hawk. Great job Merle! Stephen Gibson and Mr. and Mrs. Rodgers did a great job hauling in a pair of Ono’s on a half day charter deep sea fishing on the Ruckus. The Honig family had a busy day on the Maggie Joe as they were able to reel in 3 Ono, 5 Mahi Mahi, 1 Shibi, and 1 Kawa Kawa. Obviously sport fishing skills runs in the family. Mahalo! It was a great day deep sea fishing for the Sea Hawk. The Mottershead’s did a great job bringing in a clean sweep! When all was said and done they reeled in a 210 lb blue marlin, 6 mahi mahi’s, a 43 lb ono, 5 shibi and 1 aku. Mahalo for the fun Mottershead’s! Posted in News | Comments Off on Sea Hawk Clean Sweep! Roger and Chris expertly reeled in a pair of marlin’s while deep sea fishing on the Sea Hawk. The stripey weighed in at 65 lbs while the pacific blue was 320 lbs. Mahalo guys and we look forward to seeing you on the water again!